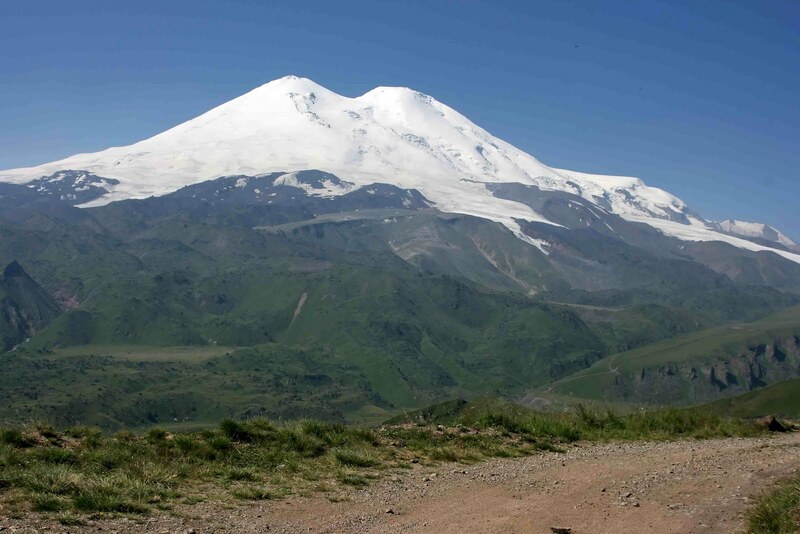 In his continuing search for the more weird, wacky and wondrous in the world of travel, David Ellis tells how a group of adventurers got to the top of Europe's highest mountain, Mt Elbrus in Russia, the hard way – by a LandRover that they drove, winched, pushed and cajoled to the top that's 5642m above sea level. 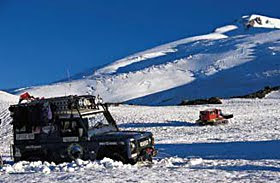 Considered one of the three "easiest" of the world's Top Seven Peaks to conquer (the other two are Australia's Mt Kosciusko and Africa's Mt Kilimanjaro) the ten Russians modified a LandRover Defender and began their ascent in August 1997. The initial approach proved simple enough along a rutted dirt road. But once they hit the snowline, things went pear-shaped, particularly as they had decided against using wheel chains, convinced the LandRover's 4-wheel drive and their own physical efforts would be sufficient. But the vehicle broke down several times and the adventurers would often have to walk 5000m back down the mountain for spare parts. Then on September 13 1997, 43 days after setting out, they drove and shoved the LandRover to the very summit of Mt Elbrus – leaving it there while they went for a rewarding break on the Black Sea. By the time they'd returned a fortnight later, however, the mountain had frozen over so they decided to walk all 5642m back to their base for wheel chains... leaving a lone driver at the top with the car. For some reason he decided he couldn't wait, and started driving the LandRover down the mountain, losing control on the ice and jumping out just as the vehicle ended a 1600m out-of-control slalom down the ice and snow and smashing into a pile of rocks... and with a flying wheel that broke free just missing by centimetres the main party returning with the wheel chains. The vehicle was abandoned and over the next few years stripped by villagers from further down the mountain, so that today there's little remaining of the first successful effort to "drive" a vehicle to the very top of Europe's highest peak.